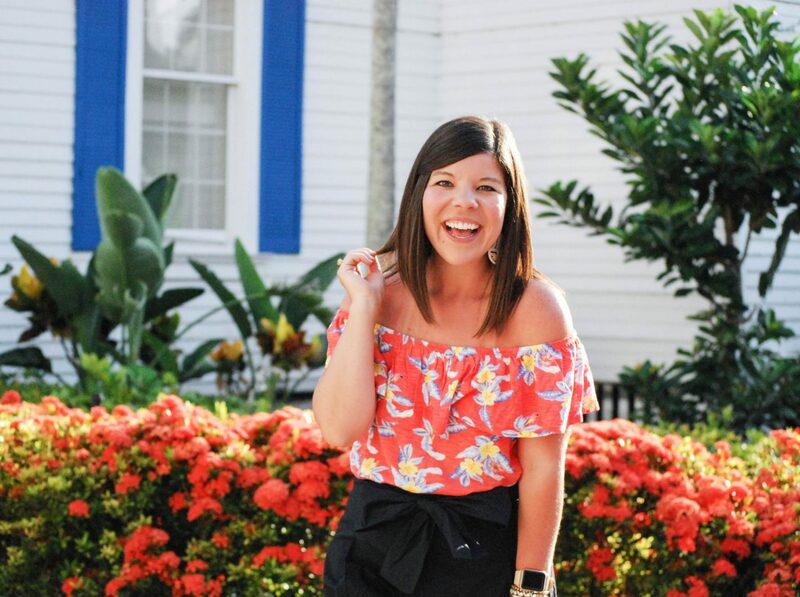 Feeling all the island vibes in this tropical off the shoulder top! Oh hey- we made it to Friday friends! This week has flashed by in a blink so I am SO happy to have a little bit of a break this weekend. I have minimal plans and a few happy hours and I couldn’t be more thrilled about that! So let’s ring in the weekend with a few pictures of my favorite tropical paradise: Marco Island! 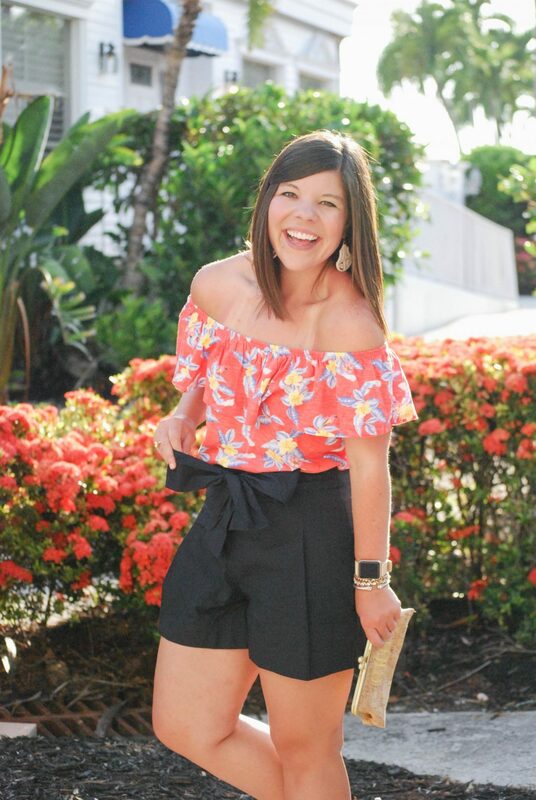 I literally got so excited to pair my off the shoulder top with the surroundings down in South Florida – I think you can agree that they are a perfect match 🙂 I’ve been having so much fun lately dressing up shorts. 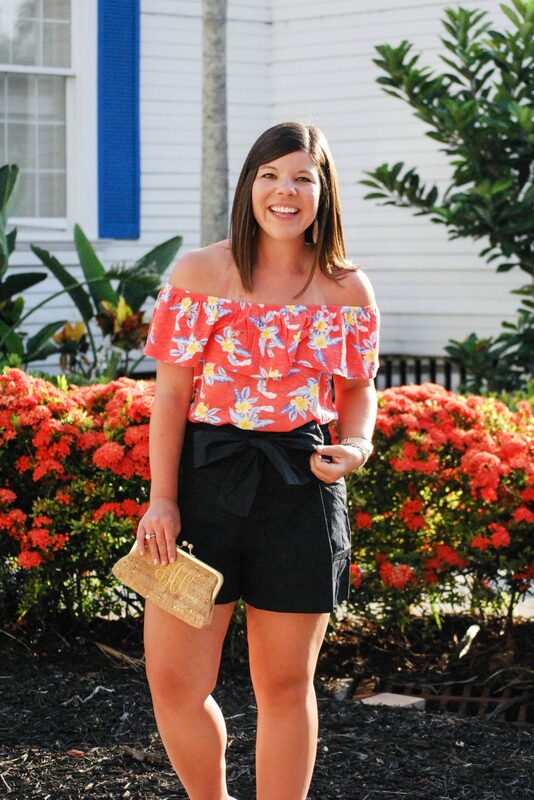 Up until this summer I considered myself a total dress girl, but I can’t deny that shorts are coming in hot on my favorite closet staples! ha. 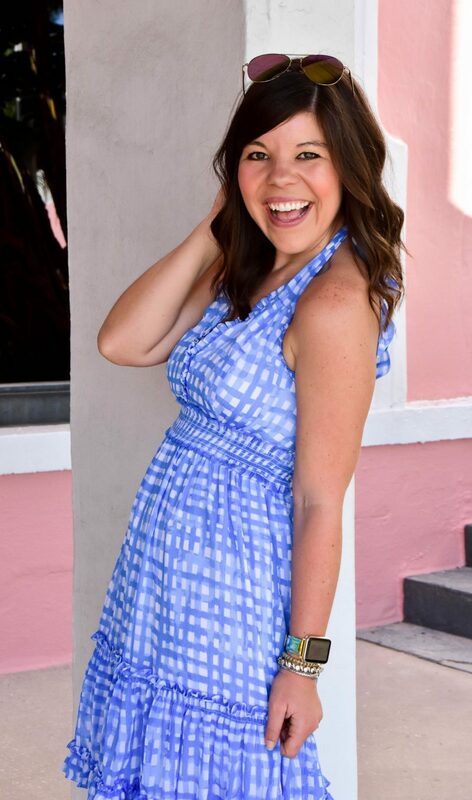 Are you loving dresses or shorts this season? Big news around here: I chopped my hair last night! I kind of got a “wild hair” (pun intended) on the way to my hair appointment and told my hairdresser to chop, chop!! I’m slightly freaking out, but also love it! My hair is super thick so it’s 10x easier to manage now- I’ll be sharing it this weekend on stories! 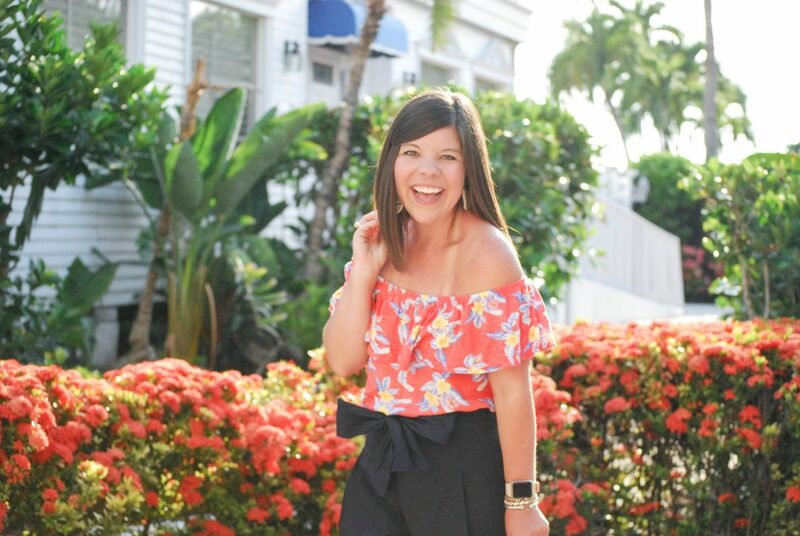 I love the mix of colors in that OTS top! So cute. Love this look! My parents had a wedding in Marco Island last fall and loved it there! It’s truly a gem of a spot! 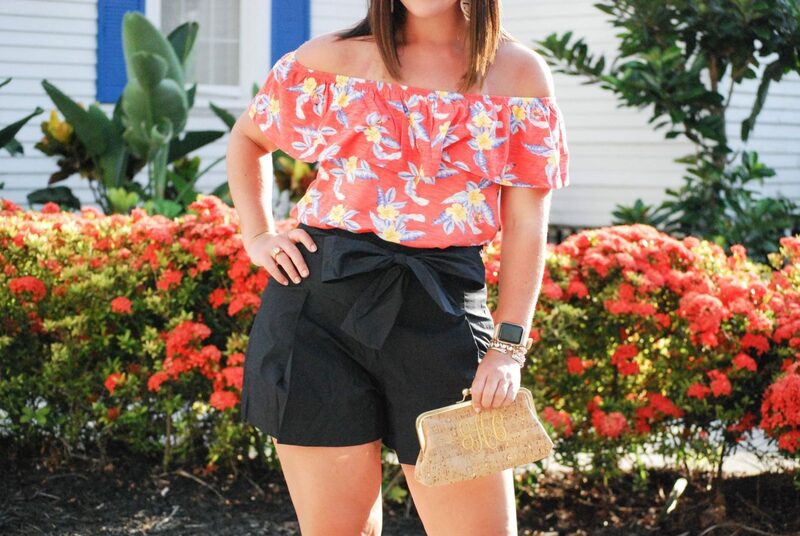 Great fitting shorts are hard to find, but these look amazing on you! You are adorable and I LOVE those bow tie waist shorts! You look adorable!!! I love your top!!! 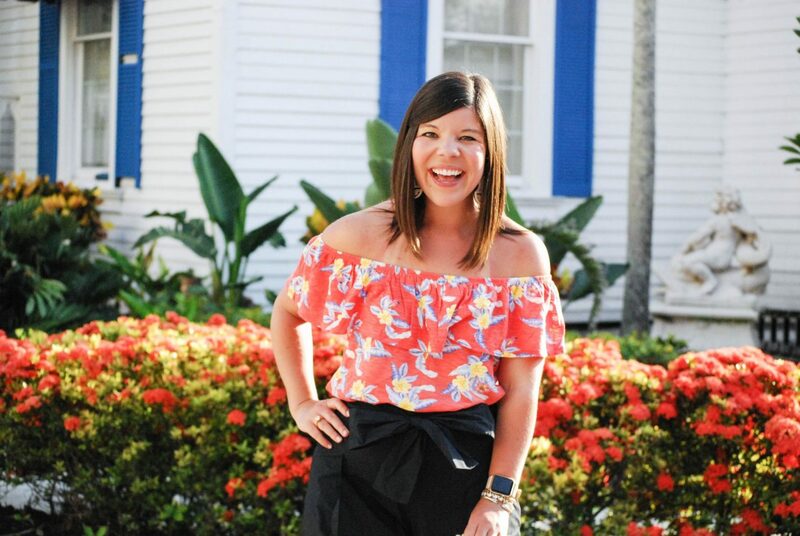 Aren’t you so cute, I love your fun summer top! It’s so cute and enjoy your time on Marco Island, it’s supposed to be beautiful! So cute babe!! Love that top! This is the CUTEST outfit and I love the colors on this top so much! I hope you’re having a great summer! You are so adorable! Loving these pretty tropical vibes. Perfect for summer. I love our off-shoudler top dear, so refreshingly cute! That top is so cute on you! And I love those shorts! That top is the cutest!! 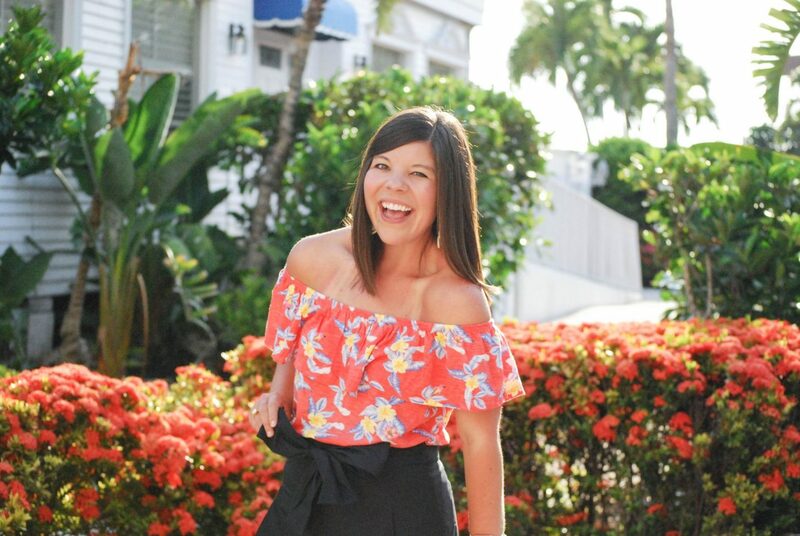 I’ve always wanted to go to Marco Island – it looks beautiful! 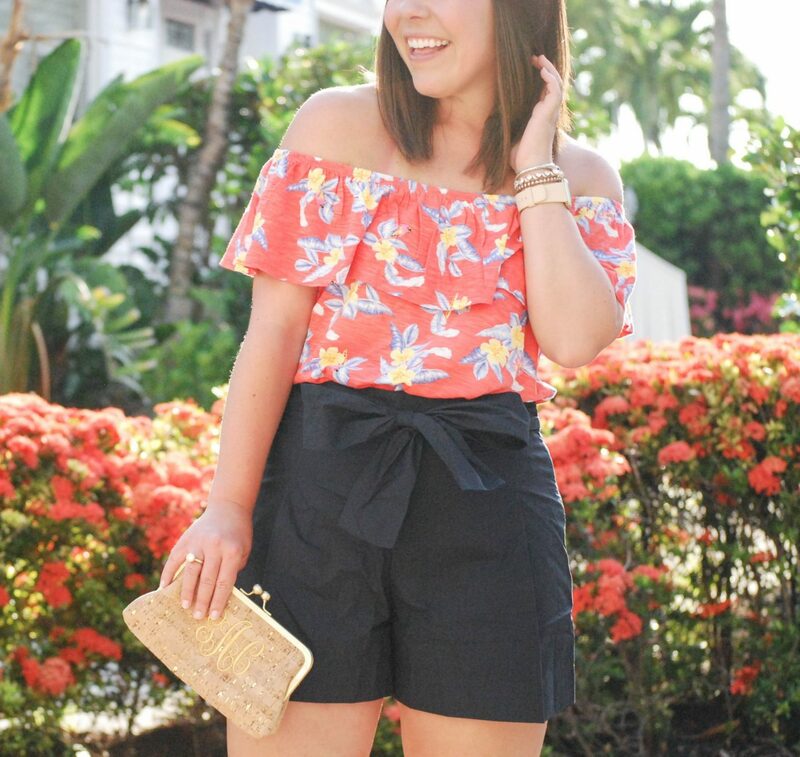 Love this tropical look! You would love it- such a little dream of a place!